The luxurious Meridian high-rise in downtown San Diego was built in the ’70s, and the condominiums’ style looks the part. 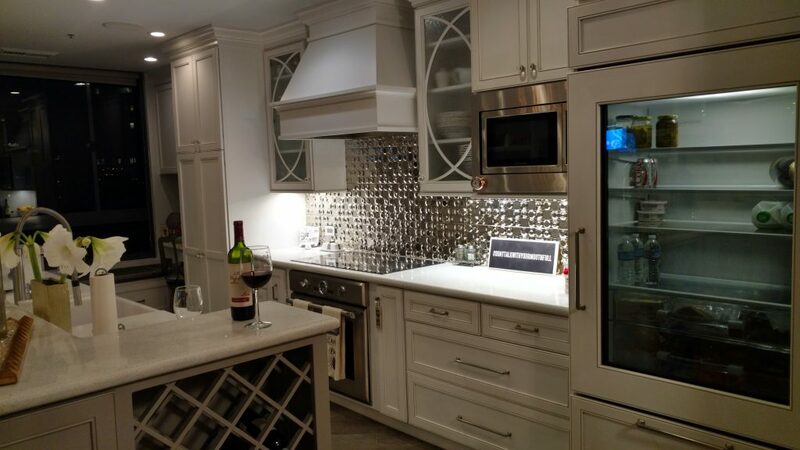 By removing the central wall, Coleen opened up the kitchen, greatly enlarging it, making a great room that is much more elegant and functional. The large blank wall that had a structural pillar in the middle was covered with a built-in media and library center that hid the pillar. The floor was covered with wood-looking porcelain planks, which are very attractive and offer very low maintenance. 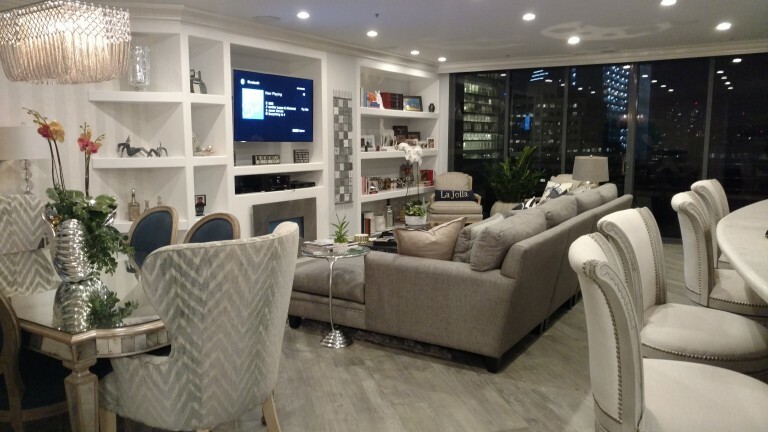 This Meridian San Diego remodel has prompted others in the building to update their condos as well!